Music for Youth and Pequot Library will be presenting a free Young Persons Concert featuring cellist Yves Dharamraj and pianist Philip Edward Fisher at Pequot Library, 2 p.m. on March 2. If you are a member of a string orchestra, a chamber musician and/or a lover of music, you are going to want to come to this Young Persons’ Concert featuring the versatile and dynamic cellist Yves Dharamraj and his talented accompanist Philip Edward Fisher. This youth centric one-hour program will highlight works for cello and piano with a twist. Adults attending without children are asked to make a goodwill donation that helps to sustain future music programs. Doors will open at 1:40 pm. For more information about the concert and musicians visit musicforyouth.net. Registration is suggested but not required. A master class for advanced cellists will follow the performance. Please call 203-254-0123 for more information. 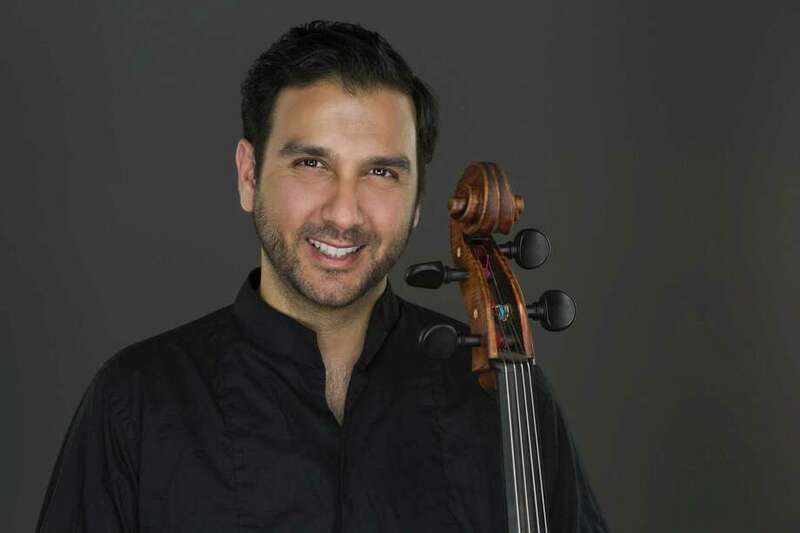 Yves Dharamraj, Franco-American cellist enjoys a multifaceted career that takes him to the major stages of the United States and abroad. Dharamraj is equally in demand as a chamber musician and has collaborated with artists including Sir Simon Rattle, Itzhak Perlman, Miriam Fried and Christian Tetzlaff. Dharamraj is a founding member of the genre-defying Bohemian Trio and indulges in the avant-garde as cellist of Ne(x)tworks. He followed his passion for teaching artistry, arts advocacy, and engaging new audiences as a fellow of Ensemble Connect (formerly ACJW), a musical initiative between Carnegie Hall, Juilliard, the Weill Music Institute, and the New York City Department of Education. He continues community engagement as a member of Decoda, the official affiliate ensemble of Carnegie Hall, and co-founded New Docta International Music Festival in Cordoba, Argentina in 2013 to mentor and nurture Latin American talent. Philip Edward Fisher is recognized widely as a unique performer of refined style and exceptional versatility. International tours as a prolific soloist and ensemble musician have taken Mr. Fisher across his native United Kingdom to Italy, Austria, Denmark, Finland, Switzerland, Norway, Kenya, Zimbabwe, Japan, the Ukraine, and United States. Dedicated to the showcasing of new music, Mr. Fisher has given local and national premieres of numerous contemporary pieces and has worked in close collaboration with prominent composers such as Ronald StevensonThomas Ades, Arvo Pärt, Lowell Liebermann, John Musto and John Corigliano. Additionally known for his unique chamber music abilities, Mr. Fisher has become a highly sought-after ensemble performer. Music for Youth’s mission is to foster the love and knowledge of live music in young people. For more information about Music for Youth call (203) 254-0123, email musicforyouthct@gmail or visit our website www.musicforyouth.net.